The proximity card with magnetic stripe is available in standard PVC construction, or a composite polyester/PVC construction for more demanding high wear and tear environments. 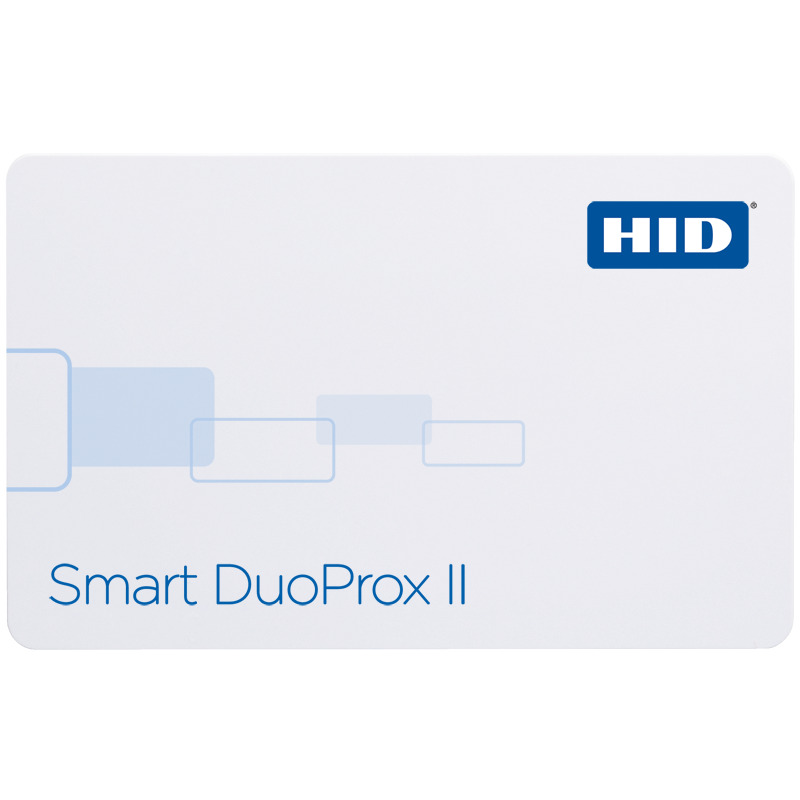 Smart DuoProx II Card includes ABA standard, high coercivity magnetic stripe rated 4000 Oersted. Like all HID ISO proximity cards, the DuoProx II proximity card with magnetic stripe can be produced with visual security and anti-counterfeiting features such as holograms, ultra-violet fluorescent inks, micro-printing, or a custom logo to quickly and easily identify genuine cards. 2.125" x 3.370" x 0.033"/0.030"
Composite PET/PVC. Optimized for using Re-Transfer Printers that fuse images to the surface of the card by applying heat and pressure (such as the Fargo HDP5000) we recommend the use of composite cards, which are better able to withstand the higher application temperatures. 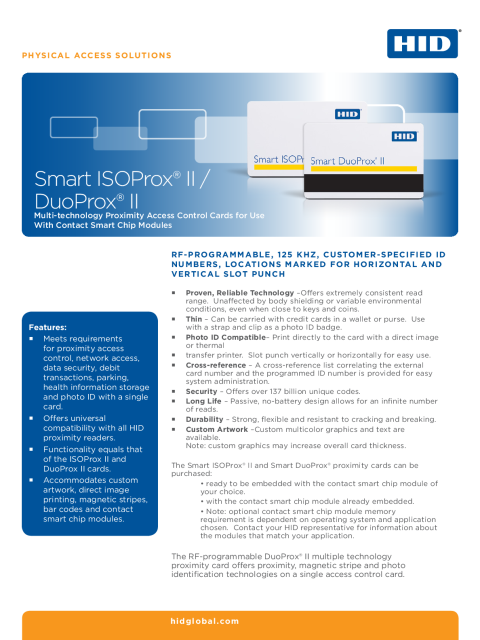 Smart DuoProx II includes an ABA standard, high coercivity magnetic stripe rated 4000 Oersted.